Tahoe Donner is one of America’s largest homeowner’s associations, with nearly 6,500 properties and 25,000 members enjoying over 7,000 acres in the Sierra Nevada mountains. 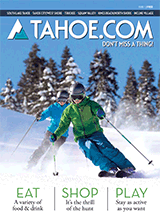 Tahoe Donner is an eclectic community with a passion for outdoor recreation and a celebration of the Tahoe lifestyle. Located 25 minutes from Lake Tahoe in Truckee, California, Tahoe Donner operates a wide variety of recreational facilities – some of which are for members only and others which are also open to the general public. These amenities can be explored in detail on this web site in the area of the site entitled Play. One of America’s premier Nordic skiing facilities. Do you love skiing through pines and aspens, climbing peaks or gentle rolling hills? Or would you rather glide along the flats of Euer Valley taking in the tranquil scenery? With 51 trails and over 100km of trails, we have something for everyone to enjoy. Known in the Lake Tahoe region as the “Best Place to Begin.” Three carpet lifts and world-class instructional staff make it a great place for learning to ski or ride. It is a relaxed, family-friendly environment with lots of fun special events. Snowplay Just what it sounds like. Located on a hill next to the Trout Creek Recreational Center, this is a perfect place for sledding and tubing. Fire pits, comfy furniture, hot chocolate and snacks round out a welcoming environment. Just what it sounds like. Located on a hill next to the Trout Creek Recreational Center, this is a perfect place for sledding and tubing. Fire pits, comfy furniture, hot chocolate and snacks round out a welcoming environment. Located just minutes off Interstate 80 in Truckee, Calif., the Tahoe Donner Golf Course is one of the premier public golf courses in the high Sierra and is rated “excellent” by reviewers on TripAdvisor. This 18-hole, 7,002-yard par-72 championship golf course is located on 200 acres of pristine Sierra landscape. Our Equestrian Center offs horseback riding, trail rides, pony rides, lessons, private family outings, guided tours, community events and more. Offering outdoor exploration through guided rides, kids bike camp, bike rentals and more on its extensive trail system. With a home base at the Alder Creek Adventure Center, Bikeworks offers easy access into the pristine Euer Valley. Our campground is the perfect place to escape. Tucked along the banks of Alder Creek in Tahoe Donner, the campground has both tent and RV sites. Campers enjoy flush toilets, laundry facilities, hot showers and RV sites with electricity and water. The fun begins with volleyball, ping pong, horseshoes and more, plus free WiFi access for those who still want to stay connected to the outside world.